Germany’s pleasant growth surprise comes with a hidden cost. The stronger-than-expected upswing allows Angela Merkel, the chancellor, to carry on with some misguided policies. Europe’s largest economy is in a sweet spot. In the first quarter, GDP growth doubled to 0.8 percent, surpassing already optimistic analyst expectations. A mild winter helped, but the composition of the growth is a big upside. Households as well as the government ramped up consumption, and corporate investment picked up. Exports were lower and imports higher, hence net trade was a drag on growth. It is another sign that Germany’s export-driven growth model – not too bad for the country, tough on the rest of Europe – is coming to an end. Excessive wage restraint is also a thing of the past. Germany’s labour costs have risen faster than in the whole EU for the past three years. 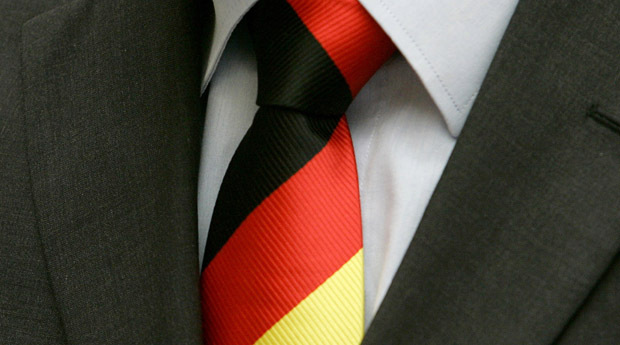 Commerzbank economists see German labour costs rising by another 5 percent in the next year. But while Europe’s strongest economy is clearly doing its part for the crucial economic rebalancing within the euro zone, Germany is likely to squander its current advantages. The government is pursuing a set of flawed economic reforms. A badly designed minimum wage, which ignores the still wide productivity gap between western and eastern Germany, threatens to destroy many low-paid jobs in the east. More generous pensions for mothers and new incentives for early retirement will drive up public pension expenditures by a cumulative 60 billion euros up to 2020. Germany’s rapidly ageing population calls for a longer rather than shorter work life. Burdening an already strained pay-as-you-go pension system with new expenditure is ludicrous. Meanwhile, the government continues to skimp on public infrastructure investment. There is no good reason to favour deficit reduction over improving roads, railways and universities. It’s an irony of history that the conservative Merkel is not only reaping the benefits of her Social Democratic predecessor’s labour market reforms. The chancellor is also fostering problems that will haunt her successors. Thanks to the benign economic environment, she is likely to get away with it. German economic growth in the first quarter was stronger than economists had expected. Seasonally-adjusted real gross domestic product was 0.8 percent higher than in the last quarter of 2013. Economists polled by Reuters had expected a 0.7 percent increase.